Last week, I joined other Bar leaders at the Western States Bar Conference. 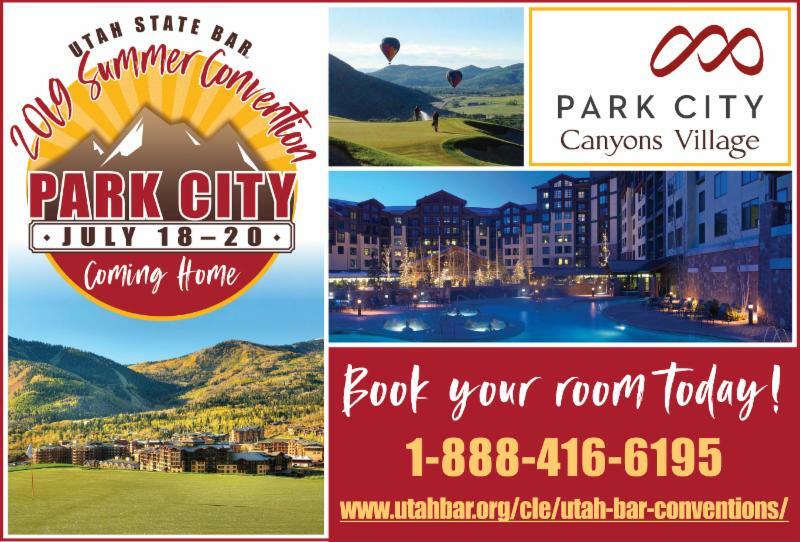 The Conference is a great opportunity to learn and gain insight from bar leaders from other Western states from Texas to Washington. 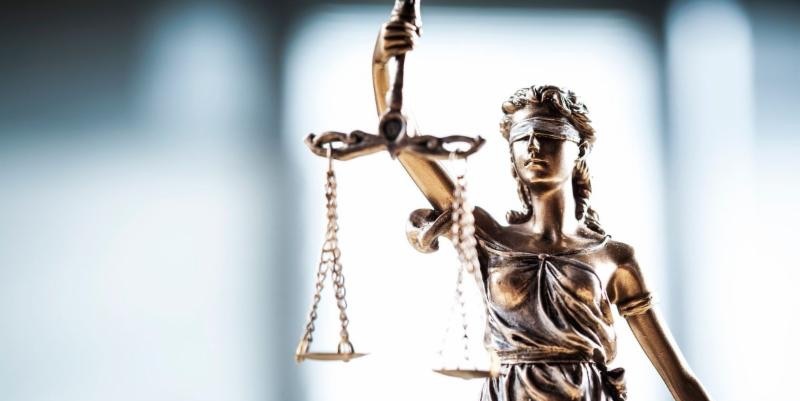 There were many important issues addressed, but the principal theme was attorney well-being, an issue that is at the forefront of many bars since the 2017 release of the National Task Force on Attorney Well-Being. A focus of the task force is ABA’s Report on Mental Health Concerns Among American Attorneys, resulting from a study of more than 12,000 attorneys and law students. The Report found that 61 percent of attorneys struggle with anxiety over the course of their career, and 46 percent battle depression. One in 10 will have suicidal thoughts. The numbers are more striking for law students. Over 30 percent of students suffer from depression or severe anxiety in law school, and six percent had suicidal thoughts in the past year. The news on alcohol abuse is equally startling. Hazardous drinking, described as creating conditions unsafe to yourself and others, is at 6.4 percent among the general population. For all attorneys, that number jumps to 21 percent, and for attorneys under 30 the number is 32 percent. We need to be concerned for ourselves and our colleagues around us. We cannot meet our duty of competence if we are not well, and the business reasons to stay well are myriad. Let’s continue to talk about it, take care to be our best and help each other. You will continue to hear from the Bar and we will continue to offer opportunities to learn and to seek help. In the meantime, do not wait to reach out. Talk to a friend. Or you can start with Lawyers Helping Lawyers here or Blomquist Hale here . Bar elections are currently being held for the offices of President-elect and 3rd Division commissioners. ﻿The deadline for voting in Bar elections is April 15. Candidates include: Heather Farnsworth, President-elect; and, in the 3rd Division, Greg Hoole, Michelle Quist and Heather Thuet, vying for two open positions. Commissioner Marty Moore of the 1st Division and 2nd Division Commissioner John Bradley ran uncontested and are declared elected according to Bar bylaws. 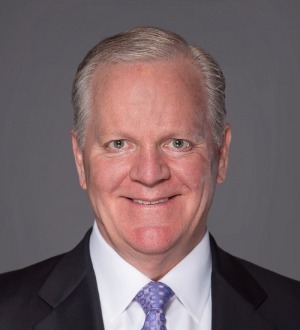 Moore will finish out the term of Herm Olsen, who resigned to become the Bar’s President-elect. Since Farnsworth is running unopposed, her election is a retention election. More information is available here. Looking for a safe environment to learn the basics of a domestic practice? Feel unprepared to take on a family law case? Here's a new opportunity to develop a domestic practice by seeing a pro bono case through the entire process, with support at each step of the way. Cases are available in all judicial districts with training held remotely over conference and video call. Utah Legal Services will also provide access to online CLE self-study learning modules and mentorship from experienced family law attorneys. ﻿Classes are held Wednesday evenings, April 17, 24, May 1, 8, and 15, by webinar from 5:30-6:30 p.m. This is a five-week session, with different content each week. Participants are expected to attend all five webinars. What does Domestic Lawyers Academy include? To sign up, follow this link and complete the form. For questions, email Tatiana Christensen, Utah Legal Services Pro Bono Director, here, or call 801-328-8891 ext. 3373. 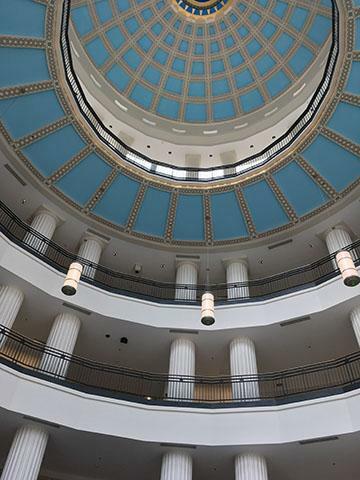 Positions taken by the Bar on public policy issues during the 2019 Utah Legislative Session are available here. 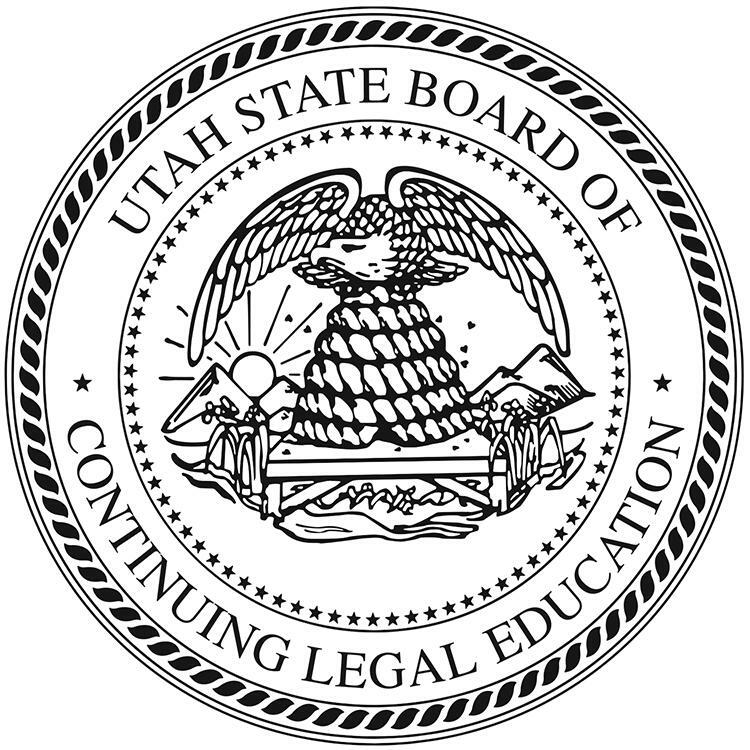 The Bar is authorized by the Utah Supreme Court to engage in legislative activities by Supreme Court Rule 14-106 which may be found at this link. Lawyers may receive a rebate of the proportion of their annual Bar license fee expended during April 1, 2018 through March 30, 2019 for lobbying and any legislative-related expenses by notifying Financial Director Lauren Stout. A friendly reminder: MCLE hours for the odd year reporting cycle are due June 30, and your MCLE report must be filed by July 31. For more information and to obtain a Certificate of Compliance, please click here . If all of your required MCLE hours are in the database, all you need to do in order to fully comply is to login to your Member Dashboard to pay the $15 reporting fee. Once this fee has been paid, you will not need to report again until July 2021, and we will not require a Certificate of Compliance from you. Log into the Practice Portal. 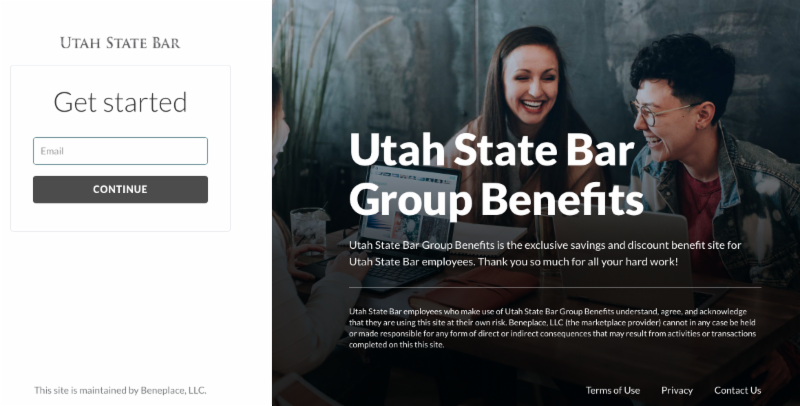 Select pay MCLE Compliance fee under Utah Bar Portal Control Card. Follow prompts to pay MCLE Compliance fee. Substantial changes to the pro hac vice admission Rule 14-806 have been approved by the Court. Effective May 1, 2019, the fee for Pro Hac Vice admission will increase from $250 to $425. 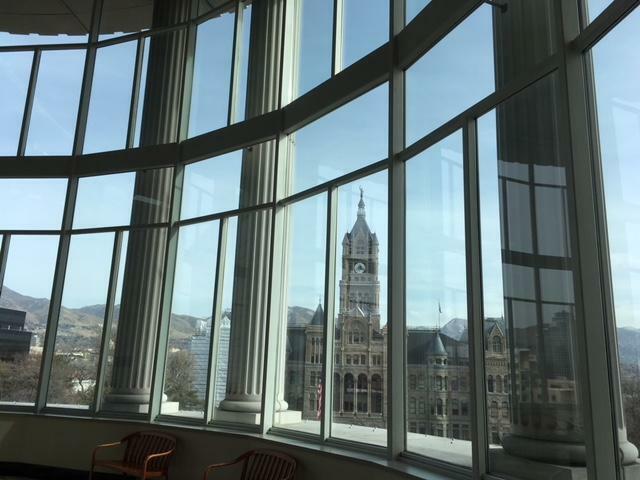 Attorneys admitted pro hac after May 1 will be required to pay an annual fee of $425 for each year they continue to practice in Utah. The Department of Linguistics at the University of Utah is convening a Forum on Language and the Law on Thursday, April 25th at 8:30 a.m. - 12:15 p.m. in the Thomas S. Monson Center at 411 E South Temple in Salt Lake City. The theme of the forum is "What lawyers need to know about language and linguistics.” The CLE event is worth four self-study credits. Speakers include Professor Roger Shuy, the nation's top forensic linguist, from Seattle University School of Law, and Judge Lynn W. Davis of the 4th District. More information about the speakers and their talks can be found here. 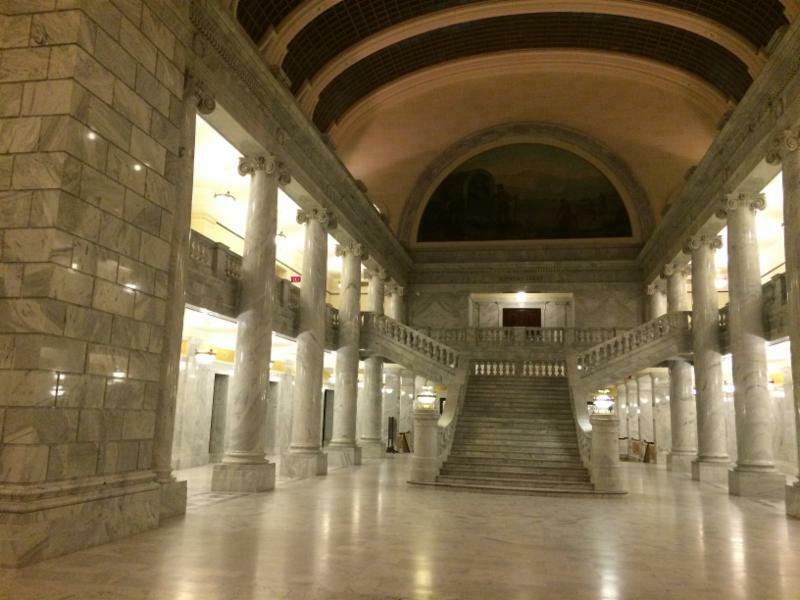 The Utah Legislature revised the statutes governing court reporters, with changes going into effect on May 14. The revisions ban electronic digital reporting and clarify that reporters are authorized to administer oaths. Court reporters will no longer have licenses, but will have certifications. The revisions can be reviewed here . Beneplace, the Bar's provider of discount services, has upgraded its website for Bar members. The new site is designed to be more intuitive and easier to use. You can check out the latest discounts here .